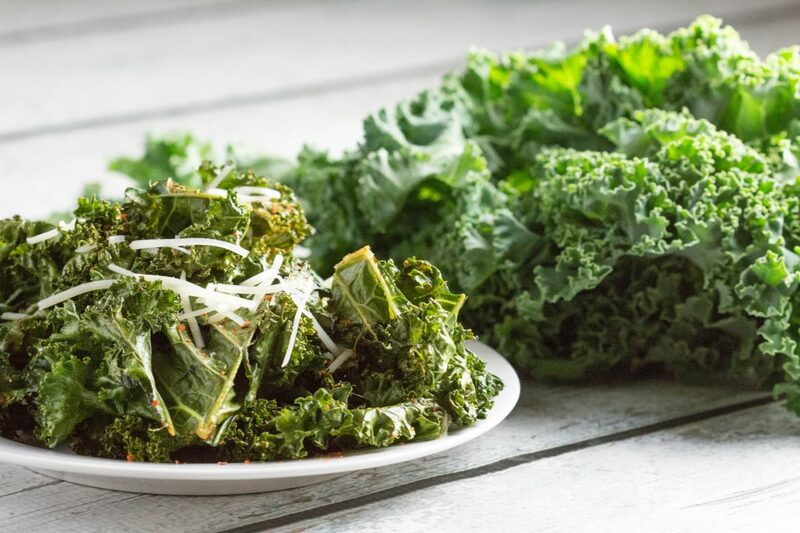 My roommate said it best the other day…”I am always back and fourth with kale, sometimes I like it and sometimes I don’t…but those kale chips are SO good!” I will be upfront with you though. They are not like a regular potato chip. Surprise surprise. Kale chips are flaky and have a crunch but are almost like the texture of let’s say…nori. I think they are fun to eat and since I know kale has such great health benefits so it’s a win win. It contains a chock-full of calcium, fiber, Vitamin A, C and K! Wash kale and remove from stems. I just use my hands for this part and tear the kale into smaller chip sized portions. 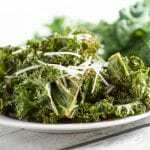 Place kale in medium sized bowl and toss with olive oil and seasonings. Place on a cookie sheet in a single & even layer. Bake in oven for 18-20 minutes, or until kale chips are crunchy. Serve with fresh Parmesan on top and sprinkle any additional seasonings on if necessary.